A newlywed wife was charged on Monday with killing her husband by pushing him off a cliff in Glacier National Park during an argument just a week after they got married. Charging documents suggest Jordan Linn Graham, 22, was having second thoughts about getting married around the time the body of her husband, Cody Lee Johnson, 25, of Kalispell was discovered. Graham has told an FBI agent that she and her husband had been arguing on July 7 as they walked in the Loop Trail area of the park. At one point, she turned to walk away, but Johnson grabbed her arm, she said. She turned around, removed his hand from her arm and "due to her anger, she pushed Johnson with both hands in the back, and as a result, he fell face first off the cliff," an affidavit states. Johnson was reported missing on July 8 when he failed to show up for work. Graham later reported that she had spotted his body. Graham made an initial court appearance on Monday before U.S. Magistrate Judge Jeremiah C. Lynch on a charge of second-degree murder. She is currently in custody. It was not immediately clear if she had a lawyer. Graham initially told investigators that Johnson left their house late on July 7 with unidentified friends in a dark-colored car with Washington state license plates. That night she texted a friend and said she was about to talk to Johnson about her reservations about having gotten married the previous weekend. The friend, identified only by initials, told the FBI about receiving the text from Graham just before 9 p.m. in which Graham said, "Oh well, I'm going to talk to him." The friend responded, "I'll pray for you guys." Graham replied, "But dead serious if u don't hear from me at all again tonight, something happened." Another friend said Graham reported receiving an email on July 10 saying Johnson had left with three friends, went hiking, had fallen and was dead. The next day, Graham reported to park officials that she had spotted Johnson's body. A ranger thought that was unusual, but Graham explained, "'It was a place he wanted to see before he died," authorities said. Graham was interviewed on July 16 and acknowledged lying about her husband's death, authorities said. Family friend Tracey Maness told the Missoulian Johnson was excited about his wedding and in love with Graham. Newlywed Wife Jordan Linn Graham Accused Of Pushing Her New Husband Cody Lee Johnson Off A Cliff In Glacier National Park/10-4-13:Charged.W/Murder! A groomsman in Cody Lee Johnson’s wedding warned him not to marry Jordan Linn Graham, who authorities now say pushed her husband of one week off a cliff in Glacier National Park. “Their interaction with each other, it didn’t seem like a happy, loving relationship that you would normally see. It was just very awkward, I guess,” said Cameron Fredrickson, who knew Johnson since 2006. “She was just very distant and reserved,” said Fredrickson, who worked with Johnson at Nomad Global Communication Solutions in Kalispell. On Monday, federal authorities took 22-year-old Graham into custody under a criminal complaint that contends she killed Johnson just days after their wedding, during an argument on a trail near Glacier’s iconic Going-to-the-Sun Road. As of Tuesday evening, Graham remained in the Missoula County jail. It was not immediately clear if she has waived her right to a grand jury hearing. The complaint, filed in U.S. District Court, alleges second-degree murder. The case is the first murder in Glacier National Park’s history. Although another suspicious death did occur in the park in 1983, Johnson’s death is the first to result in murder charges, park spokeswoman Denise Germann said. The story drew international media attention Tuesday, with photos and a story in Britain’s Daily Mail and three separate segments on CNN – in addition to Associated Press accounts published nationwide and commentary on Internet news sites and talk shows. The gregarious and outgoing Johnson proposed to the shy Graham shortly before Christmas 2012, after a year of dating. The Kalispell couple had been together about two years when they married, Fredrickson said Tuesday. Graham rarely spent time with Johnson’s friends during their courtship, and when she did, she was antisocial and unfriendly, he said. Fredrickson felt so strongly that the couple wasn’t right for each other that he warned the 25-year-old Johnson not to marry Graham and said he wasn’t the only friend to do so. Johnson, though, was sure of his love for Graham and showed it on their wedding day, Fredrickson said. “He was ecstatic. We knew it was what he wanted. There was no doubt about it,” he said. Graham, however, did not look at Johnson while they recited their vows at the wedding, Fredrickson said. If Johnson had reservations about the marriage, he didn’t reveal them in the eight days before his death and probably wouldn’t have since his friends had expressed their own misgivings about the union, Fredrickson said. In an interview with investigators, though, a friend of Graham’s identified only as K.M. told officers that Graham confided in her that she was having second thoughts about the marriage. When Johnson didn’t show up for work on July 8, Fredrickson said he knew something was wrong and called and texted Johnson and relatives, trying to find him. He even called local media outlets, seeking help in getting out the word to look for Johnson. Changes in Graham’s stories to him and to police fueled his suspicion that foul play was involved, and Fredrickson said he went to authorities with text messages he exchanged with Graham. Initially, Graham told him that she hadn’t been at the house when Johnson left on the evening of July 7. Then, she told authorities that she had seen Johnson get into a dark-colored vehicle with Washington plates. Johnson hadn’t indicated anything was wrong during the numerous times friends saw him between the wedding and his disappearance, Fredrickson said. “There wasn’t anything different,” he said. Johnson wanted to spend his life with an honest, wholesome Christian girl, and Graham, who worked as a nanny, embodies that, said Lytaunie Blasdel, who has known Jordan since childhood and was a mutual friend of the couple. “That was just Jordan, that just summed her up,” said Blasdel, whose brother introduced the couple. Johnson was smitten with Graham immediately, she said, and the couple rarely fought. Blasdel said things seemed a little off during the wedding, but that could have been because Graham was a painfully shy person and uncomfortable with the day’s attention. Graham sobbed before the ceremony, but Blasdel said she never learned why. Graham’s arrest was unexpected, said Blasdel, who added that she and Graham had a falling out and hadn’t been particularly close for about a year, but that she attended the wedding. “You don’t expect that to happen. It’s not like she was a disturbed person by any means,” she said. Her behavior after Johnson’s disappearance was strange, though, Blasdel said. “I just kept telling myself, maybe it’s a coping mechanism or maybe it’s because she’s around children all day and she doesn’t want to upset them,” Blasdel said. The evening of July 11, Graham told authorities that she had found Johnson’s body in Glacier, according to the affidavit. His body was located by park officials on July 12, and had to be retrieved by helicopter – so steep was the terrain. When authorities interviewed Graham again on July 16, she admitted giving false statements previously and said she had gotten in an argument with Johnson the night of his death. The night of July 7, the couple drove to Glacier, where they walked along a trail in The Loop area, before they walked to the other side of the trail where the terrain was very steep, Graham said. Their argument intensified and, at one point, Johnson grabbed her arm. “After removing Johnson’s hand from her arm, Graham stated she could have just walked away, but due to her anger, she pushed Johnson with both hands in the back, and as a result, he fell face first off the cliff,” the affidavit said. When, days later, a park ranger responded to Graham’s call that she had found her husband’s body, he remarked that it was unusual that she was the one who located Johnson. Graham’s arrest brings some closure to his family and friends, but opens up a whole new battle, said Tracey Maness, a close family friend. “Basically, we’re just holding onto hope that it will be resolved, that charges will stick and someone will be punished,” Maness said Tuesday. Like Maness, Fredrickson said the charges aren’t a surprise and that the ordeal is a long way from finished. “Everyone’s like, OK, finally. It took long enough,” he said. Why Graham would go so far as to kill Johnson remains a mystery, although there has been plenty of speculation, he said, adding he questions whether Johnson ever grabbed Graham’s arm during the argument. Johnson was light-hearted, loving, selfless and easy going, Fredrickson said. “He was just one of those great friends who was always a pleasure to have around. He was an overall great, good-hearted guy,” he said. Questions remain as to why Johnson was killed, Blasdel said. Johnson was the man every father hopes his daughter will marry. Graham was just naturally a quiet person, she said. “And why not just walk away?” she said. MISSOULA, Mont. -- A federal judge ordered a Montana newlywed released from jail Thursday as she awaits trial on charges that she pushed her husband to his death over a cliff in Glacier National Park because she was having second thoughts about marriage. Prosecutors immediately sought to reverse Thursday's order from U.S. Magistrate Judge Jeremiah Lynch, saying 22-year-old Jordan Linn Graham of Kalispell was a risk to the community and had lied to investigators. But Lynch said the government had not shown that Graham was a danger to the community nor a flight risk – the two main factors in deciding whether someone should be released. He ordered her into home detention at her parents' house in Kalispell, and to undergo a mental health evaluation. The fact that Graham allegedly admitted to her actions in July yet authorities did not file charges until this week suggests she was not as dangerous as prosecutors have described, Lynch said. "The government does not point to any evidence that Graham somehow represents more of a danger now than she did in July, at which time the government opted to continue its investigation without arresting or charging her," Lynch wrote in his order. Prosecutors said they would file an additional motion Friday detailing why the release order should be revoked. It was uncertain when the court would act on the request. Graham was freed after being told the conditions of her release during a Thursday afternoon hearing. She is accused of shoving Cody Lee Johnson, 25, off a steep cliff near a popular trail in the park on the night of July 7 during an argument. An FBI agent said in a statement accompanying the charging documents that Graham had told a friend she was having second thoughts about her 8-day-old marriage and planned to confront Johnson with her concerns. Tracey Maness, a longtime friend of Cody Johnson's mother, Sherry, said family and friends were disappointed by the judge's decision to release Graham. Maness declined to comment further, telling The Associated Press in an email Thursday that the family has asked friends to stop talking to the media. Lynch's ruling followed a Wednesday hearing in which Graham's public defenders argued for her release pending trial. She would stay with her parents in Kalispell and did not pose a flight risk, attorneys Andrew Nelson and Michael Donahoe argued. But Assistant U.S. Attorney Zeno Baucus argued against Graham's release, saying she repeatedly lied to law-enforcement officers and poses a safety risk to herself. Graham had previously sent text messages to a friend saying she wanted to die and hated her life, KECI-TV reported. Prosecutors say Graham confessed to pushing Johnson from the cliff near the Loop Trail several days after she initially told investigators he drove away with a friend from out of town. She told a park ranger three days after Johnson was reported missing that she had found Johnson's body, saying she looked in that area because it was "a place he wanted to see before he died," according to the FBI affidavit. That judge is out of his mind! A federal judge ordered a Montana newlywed released from jail Thursday as she awaits trial on charges that she pushed her husband to his death over a cliff in Glacier National Park because she was having second thoughts about marriage. You Don't push your husband to his death over a cliff b/c you had 2nd thoughts......I hope the book is thrown at her!! raine1953 wrote: That judge is out of his mind! I CAN NOT BELIEVE THEY LET HER WALK! Cody's family must be feeling really helpless at this point. Bride accused of pushing husband off cliff to his death.....is CHARGED WITH MURDER. HELENA, Mont. – A newlywed bride accused of pushing her husband off a cliff to his death in Glacier National Park after having second thoughts about her marriage is scheduled to be arraigned Friday on murder charges. Jordan Linn Graham, 22, will appear in U.S. District Court in Missoula on a new federal grand jury indictment charging her with first-degree murder, second-degree murder and making a false statement about the death of Cody Lee Johnson. The first-degree murder charge carries a mandatory sentence of life in prison upon conviction. Graham's federal public defender, Michael Donohoe, said last month that Graham was acting in self-defense and Johnson's death was an accident. The Kalispell couple had been married for eight days when the 25-year-old Johnson disappeared on July 7. Graham originally told investigators that Johnson's "car buddies from Washington probably came and got him," according to the indictment. Johnson was reported missing on July 8 when he did not show up at work, and Graham told investigators the next day she had seen a dark-colored car pulling out of their driveway, according to a statement by an FBI investigator filed with the court. Two days later, Graham told a Glacier park ranger that she had found the body below the popular Loop area, the statement said. Prosecutors say Graham lied and was with Johnson in Glacier National Park that night. She told investigators five days after that first interview that she and Johnson had an argument, were upset and decided to go to the Loop Trail. Earlier that day, Johnson told a friend she was having second thoughts about getting married and meant to talk to Johnson about it. She said if the friend didn't hear from her again that night, "something happened," the FBI affidavit said. Graham told investigators she and Johnson argued on the trail and it intensified. Johnson grabbed her arm as she turned to walk away and she pushed him with both hands in the back, causing him to fall head-first from a steep cliff, the affidavit said. Graham previously appeared in court last month on a second-degree murder charge. She was released on her own recognizance after U.S. Magistrate Judge Jeremiah Lynch ruled she wasn't a flight risk because of her strong community ties in Kalispell. Well, they got this one right!!!! Jordan Graham, the Kalispell woman accused of pushing her husband Cody Johnson off a cliff in Glacier National Park in July, will appear in U.S. District Court in Missoula on Tuesday for a pre-trial conference hearing. A nine-page document filed Friday by Assistant U.S. Attorney Zeno Baucus gives a hint at what's to come in the government's case against Graham. The Notice of Disclosure filed on October 11 says the government and Graham's attorneys have engaged in preliminary discussions concerning certain aspects of discovery and trial scheduling. It also states that both parties agree that a February 2014 trial date is acceptable, with the trial lasting two weeks. The government added they plan on calling up to 60 witnesses at the trial over a two-week period. Prosecutors also say they have produced the core of the witness statements that will be likely used at trial, but go on to say a significant amount of discovery has yet to be produced, and the United States will produce it as quickly as possible. These topics, among others, will be discussed Tuesday morning during the pre-trial conference hearing before U.S. District Judge Donald Molloy. Graham has pleaded not guilty to charges of first degree murder, second degree murder, and making a false statement. Graham is accused of pushing Johnson off a cliff after an argument on July 7 in Glacier National Park. The couple was married eight days before his death. The bride was having second thoughts eight days after her wedding, and the couple took their argument to a trail in Montana's Glacier National Park. Only one of them returned alive. Now it will be up to a jury to decide whether Jordan Graham deliberately pushed Cody Johnson to his death that night in July, or whether she was trying to remove his hand from her arm when he fell off the cliff. The murder trial of the 22-year-old Kalispell, Mont., woman begins Monday with jury selection and could last one to two weeks. Graham has pleaded not guilty to murder and making a false statement. The trial comes after a judge rejected an attempt by Graham's public defenders to dismiss the indictment because of an FBI agent's interrogation techniques. MISSOULA, Mont. (AP) — A jury has been selected and opening arguments are expected in the murder trial of a newlywed bride accused of pushing her husband from a cliff in Glacier National Park just days after their wedding. Jordan Graham has pleaded not guilty to charges of first-degree murder, second-degree murder and making a false statement to authorities in the death of 25-year-old Cody Johnson. The jury of eight men, six women and two alternates was seated Monday and opening statements were expected later in the day. Graham, 22, and Johnson, 25, had been married for eight days when they argued over her doubts about the marriage, prosecutors said. She texted a friend that she planned to confront Johnson about those doubts on the night of July 7. Dozens of friends, acquaintances and expert witnesses are expected to testify during the trial. None, however, saw the incident. Federal prosecutors will attempt to convince jurors that Graham deliberately pushed Johnson to his death, then made up a story about how he was last seen driving off with friends. Graham's federal public defenders will ask jurors to believe that while Graham thought she married too young, she loved Johnson and was only trying to remove his hand from her arm when he fell. Witnesses will describe Graham as a naive, immature and shy woman who deals better with the children she watched over as a day care worker than with most adults, federal public defender Michael Donahoe wrote in his trial brief. Johnson liked to race cars, drink beer, play softball and hang out with friends, and he changed for Graham when they began dating, Donahoe wrote. Johnson started going to church and stopped most of his drinking, the lawyer wrote. Graham may have had misgivings about getting married too young, but that doesn't prove she intended to kill Johnson, Donahoe wrote, noting that federal prosecutors have mostly circumstantial evidence in their push to prove the killing was premeditated. Assistant U.S. Attorney Zeno Baucus wrote in his own brief that Graham had told Johnson before the wedding that she had a "surprise" planned for him. After he fell to his death, she didn't call police or seek any assistance, the prosecutor said. Instead, she began sending text messages to friends, planting stories about Johnson's disappearance and talking about her dance moves, Baucus wrote. Graham initially told investigators that Johnson had driven away with friends the night of July 7. Three days later, she led park rangers to his body, according to prosecutors' court filings. Her discovery of the body prompted investigators to call Graham back for further questioning by FBI investigator Stacey Smiedala on July 16. Graham agreed to be interviewed without a lawyer present and to take a polygraph test, though one was never administered, according to prosecutors. Smiedala questioned Graham for about 1½ hours without recording the conversation, then taped two shorter statements by her. In the recorded portion, Graham said she and Johnson argued about whether they should have waited longer to get married, and they took that argument from their Kalispell home to Glacier National Park, according to a transcript. Graham said Johnson grabbed her arm at one point. She said she knocked his arm off and pushed him in one motion, causing him to fall from a steep cliff near a trail. "'I think I didn't realize that one push would mean for sure you were over,'" Graham said, according to the transcript. Strange way to word it wouldn't you say? IMO it sounds like she thought she'd have to push him more than once to push him off the cliff. If it was an accident why wouldn't she say something like, "I was pushing him away from me. I wasn't trying to push him off the side of a mountain." U.S. District Judge Donald Molloy said he hoped to get the trial to the jury this week because he has a trial scheduled to start next Monday in Billings. Talk about a speedy trial! In a dramatic turn during her murder trial, newlywed Jordan Linn Graham pleaded guilty Thursday to second-degree murder in a plea deal and recounted how she pushed her new husband over a Montana cliff last summer. "It was a reckless act," she told the judge who demanded the truth of what happened to Cody Johnson, her husband of eight days, in Glacier National Park in July. "I just pushed," she stated. The newlywed couple was arguing when he grabbed her and she told him, "Let go." She thought he was going to hold her down. She put one hand on his back and another on his shoulder and then pushed him face-first to his death, she told the court. When Graham declared her guilt, her mother in the gallery crumpled in her seat. But a relative of Johnson, who was 25, threw her head back and cried, whispering "she said guilty." His friends held hands and appeared satisfied. Graham, 22, now faces a sentence of up to life in prison, U.S. District Judge Donald W. Molloy said. Her minimum sentence could be 235 months, or 19 1/2 years, though sentencing guidelines are flexible, the judge said. In exchange for her guilty plea, prosecutors dropped a first-degree murder charge and a lying to investigators charge. The deal was announced after the prosecution and defense rested their cases and took a courtroom break. They hadn't yet begun their closing arguments to the jury. When the trial resumed, the judge said there were new developments, and the prosecution announced a deal had been made. The jury was not in the room when the deal was announced. Lead defense attorney Michael Donahoe said prosecutors offered the deal in the late morning before the lunch break. Graham accepted the deal, he said. When everyone returned to the courtroom, the judge asked Graham if she was sure she wanted to plead guilty, because she could end up spending the rest of her life in a federal prison. Graham consented to the proceeding, though she appeared overwhelmed. She didn't cry, however. When the judge first asked what happened the day her husband was killed, Graham responded, "I wasn't thinking of where we were." Then she spoke of the deadly argument and how she had misgivings about the marriage. "I wasn't really happy," she said. She wasn't feeling like they should be married, she said. When the judge asked her why she left the murder scene, she said she was scared of what had happened. She had the car keys in her pocket. The judge accepted her guilty plea. Graham, a resident of Kalispell, was then handcuffed in the courtroom and taken into custody. Her sentencing is scheduled for March 27, 2014. Another of her attorneys, Andrew Nelson, summed up the trial and its surprise outcome: "For us, it's been emotional from the drop of the gavel." A close friend of the victim, Brad Blasdel, was terse about justice in the case as he left the courthouse: "God'll take care of it." During the U.S. District Court trial this week, prosecutors contended that Graham was having serious second thoughts about her marriage before her husband's death and willfully lied to police after it. But her defense lawyers argued that the death plunge was an accident resulting from an argument. Graham initially lied to police, they said, because she was afraid she wouldn't be allowed to explain what happened on the cliff's edge. The defense presented to the jury an emotional, heartbreaking review of the couple's wedding video and showed the couple as a normal pair preparing for marriage. Graham's husband disappeared July 7. Four days later, the FBI said, Graham led friends and relatives to a popular spot in the park, where they found Johnson's body. Graham at first maintained that she had simply speculated Johnson might have gone there. But an FBI agent said that she changed her story when she was shown a surveillance photo of the couple entering the park together. 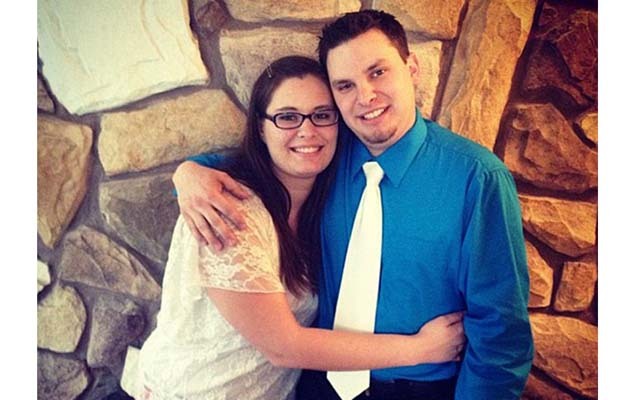 Less than nine months after she shoved her husband off a steep cliff just days into their marriage, a federal judge sentenced Jordan Linn Graham to 30 years in prison Thursday. Graham, 22, pleaded guilty to second-degree murder in December, admitting to luring her new husband, Cody Johnson, to Glacier National Park and pushing him off a cliff. "After providing several false statements to law enforcement officers and impeding the investigation by providing false information, Graham ultimately admitted pushing Cody from behind with both hands," prosecutors said in a statement Thursday. Graham filed a motion to withdraw her guilty plea on Wednesday, arguing that prosecutors had negotiated the plea deal in bad faith by pushing the judge toward a harsher sentence despite agreeing to drop a first-degree murder charge. Prosecutors denied that claim and argued that Graham was trying to delay sentencing. U.S. District Judge Donald Molloy denied Graham's motion to withdraw her guilty plea at Thursday's hearing, accepting the plea deal and sentencing her to 365 months in prison. The judge's ruling came after several members of Johnson's family asked the judge to sentence Graham to life in prison, CNN affiliate KPAX reported. The sentencing comes months after Graham's surprise guilty plea in the middle of the high-profile murder trial. "It was a reckless act," Graham told the judge in December. "I just pushed." When Graham declared her guilt, the victim's mother in the gallery crumpled in her seat. Another relative of Johnson, who was 25, threw her head back and cried, whispering "she said guilty." His friends held hands and appeared satisfied. Then she spoke of a deadly argument at the park and how she had misgivings about the marriage. Before her guilty plea, Graham's defense lawyers had argued that the death plunge was an accident resulting from an argument. Graham initially lied to police, they said, because she was afraid she wouldn't be allowed to explain what happened on the cliff's edge.